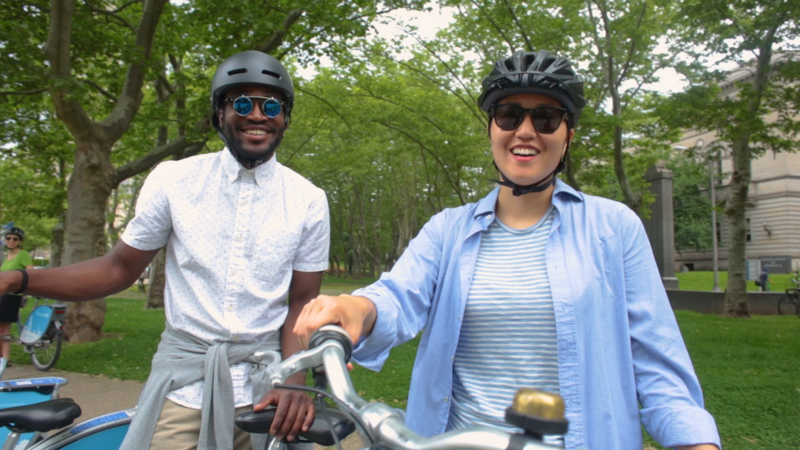 Healthy Ride is committed to creating a convenient, reliable bike share network for everyone. In 2016 we reached out city-wide to gain feedback from our riders and community members to see where YOU wanted future Healthy Ride stations. 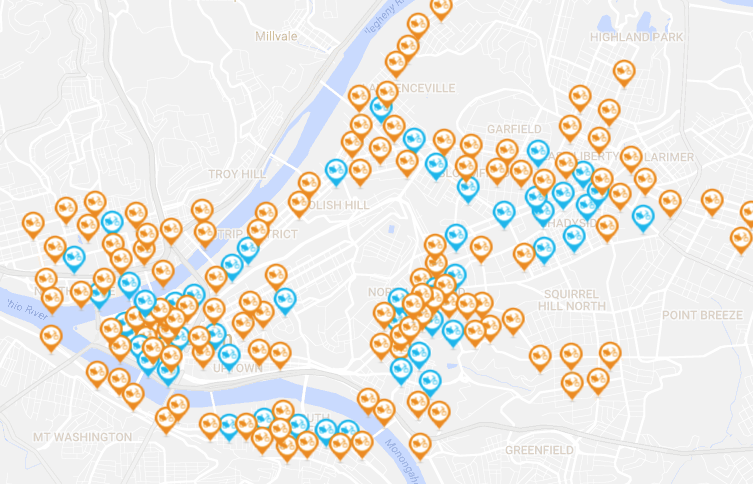 We created an interactive map and hosted dozens of community meetings across the city to design the best bike share system for Pittsburgh. This map is a reflection of that outreach. We took all of your feedback and created a more connected network of 175 stations and 700 bicycles. Please help us complete the 2018 expansion process by commenting on this map. To make a comment, click on a proposed station and enter your comment directly on the map. To make a more general comment or ask a question regarding the expansion, please fill out the embedded comment form. Please comment early and often for a successful expansion in 2018! We engaged with 35 community groups and attended 85 events in 2016-2017. We set up an online Suggest A Station page receiving over 5,600 responses. 125 new station locations were identified using community suggestions and technical criteria. We’ve posted these stations above and encourage your comments and questions. Healthy Ride will finalize proposals using neighborhood feedback collected at community meetings, events and the interactive map. Once approved by district Councilperson and Traffic Engineer we’ll begin installation of new stations. What Makes a Good Station Location? Isolated stations are not thriving stations. Stations should be no farther than 1/4 mile from another station to ensure a Healthy Ride station is always a short walk from where you are. Stations that are hidden on side streets and away from pedestrian corridors do not see frequent usage. Healthy Ride must be visible and convenient for optimal ridership and station success. Each station requires a minimum footprint of 22′ by 7′. While Healthy Ride stations can be found on some sidewalks, most Pittsburgh sidewalks do not accommodate stations. When this is the case, Healthy Ride considers on-road installation. By installing stations in the area between a crosswalk and the first public parking space, Healthy Ride can avoid removing public parking. Most Healthy Ride stations rely on solar power to maintain internal batteries. Locations that do not receive much sunlight due to urban or natural canopies are not ideal spaces for a station. Furthermore, stations cannot be located underneath infrastructure like bridges, parking garages or buildings as they require a strong cellular network connection. While Healthy Ride stations can be installed on private property with owner approval, all of our stations must be publicly accessible for community use. Healthy Ride stations cannot obstruct public utility lines or equipment including fire hydrants or manhole covers. We also take care not to obstruct bus stops, accessible parking spots, or loading zones. Please join us for community meetings across Pittsburgh during the Winter and Spring of 2018. You’ll hear more about the station siting process, you’ll be able to connect with Healthy Ride representatives, and ultimately, give us your valuable feedback. We will continue to update this calendar with upcoming events throughout the city. Q: How big are the stations? A: After the expansion, the average Healthy Ride station will have 8 docks. If a station is full, riders can still lock the bike to itself and return the bike as usual. Q: How much public parking will be eliminated in this expansion? A: Healthy Ride will install smaller stations in 2018 that will limit the need to remove public parking. Q: Why isn’t my neighborhood included in the expansion? A: Healthy Ride will be expanding to reach new neighborhoods including Larimer, Homewood, Squirrel Hill, Highland Park and Station Square. The rest of the 2018 expansion is dedicated to filling in gaps within the current network to build a more convenient and reliable system. As we expand in future years, we will continue to reach new neighborhoods currently underserved by bike share. 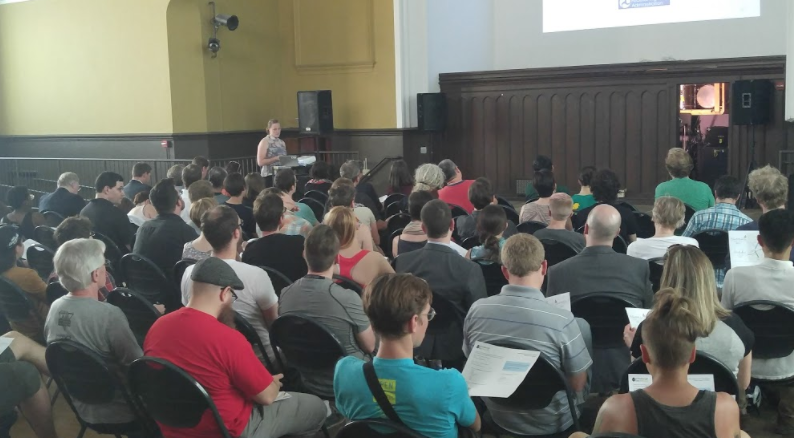 Q: When will Healthy Ride expand to my neighborhood? A: Healthy Ride has intentions to expand its system annually. Just because your neighborhood is not on the expansion in 2018 does not eliminate it from future expansion. Q: How are the stations being paid for? 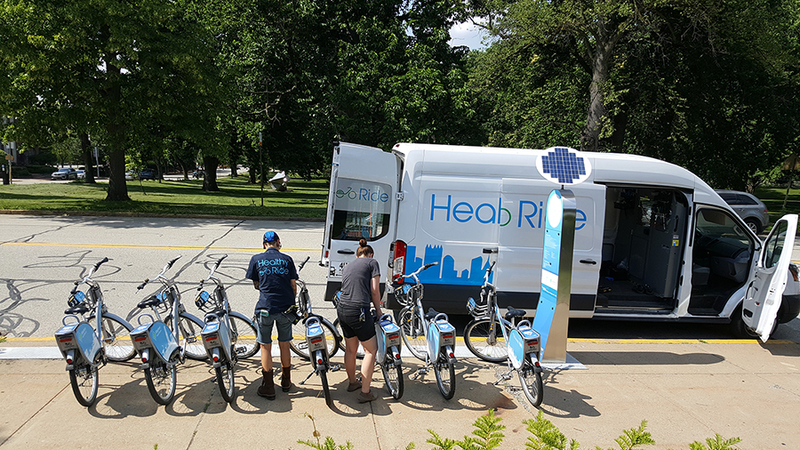 A: Healthy Ride is able to expand using funding from a state DCED multimodal transportation grant, partnerships with local partners and Pittsburgh’s strong foundation community to support the expansion. Q: When will stations be installed? A: Stations will be installed throughout 2018. Stay connected via our newsletter and social media channels to get the most current announcements on the expansion. Q: Can stations be moved? A: Yes. Healthy Ride has moved stations for construction projects and has the ability to move stations if a station becomes an issue or is experiencing low ridership. However, Healthy Ride hopes that through encouraging public feedback before stations are installed, that the need to move stations can be avoided. For answers to more general questions, please visit our FAQ page.